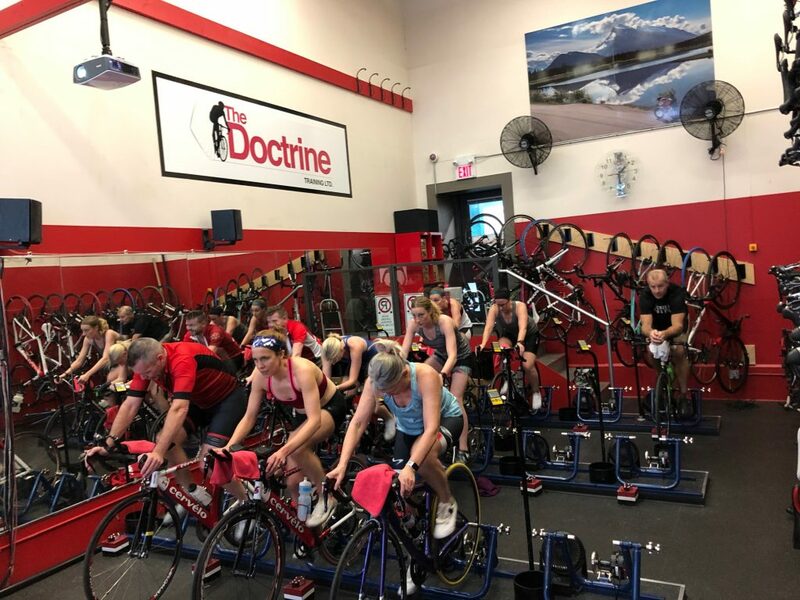 As soon as we hear the words “FTP test” we instantly drift to thinking about the most intimidating and hard twenty minutes of cycling training we will do. No, an FTP test is not easy and most think they are not fun and yes, they will hurt. But these tests are critical in providing power and zone information for training purposes. Also, they serve to determine our fitness levels on this day, at this time. Sometimes when we finish these tests we tend to focus on ‘what went wrong’. But instead, let’s focus on ‘what went right’ and walk away with a positive feeling. As we were fuelling at a nearby cafe after our recent FTP test, we discussed as a group strategies that worked for us. Cadence: Most common answer was sticking to a cadence and nothing else. It allows the rider to focus on a process goal rather than an outcome goal. Chunking: Most riders like chunking the twenty minute test into four, five minute intervals. This makes pushing hard for twenty minutes feel more manageable mentally. Internal feedback loop: One rider removed their glasses, preferring to not see the data screen at the front on the studio. Using internal feedback was helpful rather than focusing on external feedback numbers. Experience: A repeat test was viewed as a positive as well. Knowing what to expect from previous tests made focusing on the current test easier. Mindset: Focus on only yourself. Do not worry about the riders around you. This is a measurement of you, and only you, not a comparative to the riders around you. In the end, remember that test results are just a snapshot in time. There are no failing results!